I've been pushing to change the law to allow for in-state processing. We are making progress on modernizing our lobster laws to bolster the fishing industry; give consumers, including local restaurants and food stores, more choices and better values, and support for our coastal fishing communities. 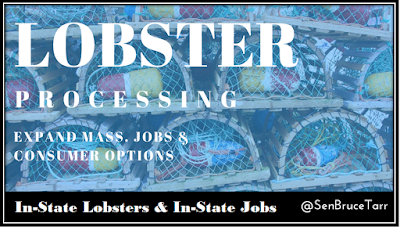 Did you know that up to 80% of Massachusetts' lobster is sent out of state to be processed? Legislation adopted today could lead to an expansion of consumer choices, support the fishing industry, and grow new jobs. 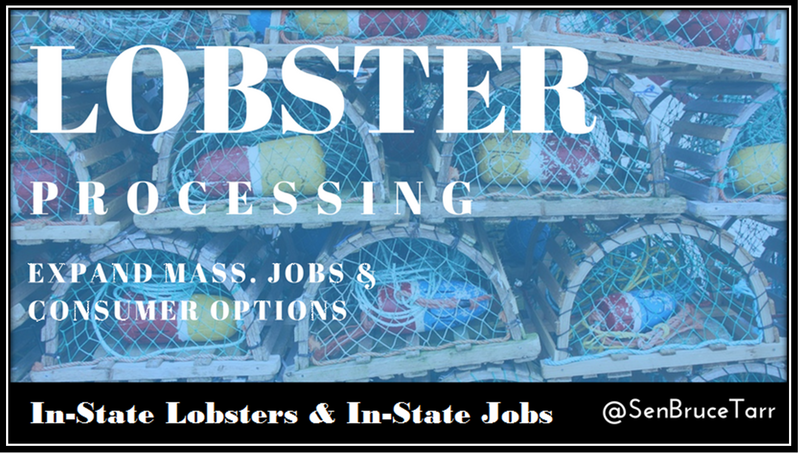 It requires the Division of Marine Fisheries to complete a study this year of the current lobster fishery. If all goes well, Massachusetts processed lobster won't have to be stamped "Product of Canada."